DIRECT TO HOME PARCEL SHIPPING SERVICE - NOW AVAILABLE! DeliverEase is Premium Outlet Collection EIA’s signature direct-to-home worldwide parcel shipping service. Overloaded your carry on? Shopped til you dropped? Don’t fret! 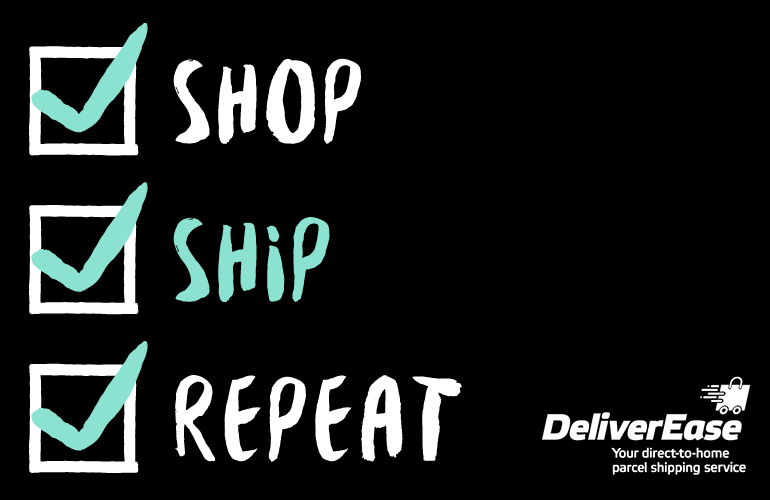 Easily ship your shopping packages home. DeliverEase allows travellers and shoppers alike to shop without worry, knowing they can ship their purchases home, directly to their door. Visit Guest Services for full details and to take advantage of $50 shipping free with $100 purchase offer right now!